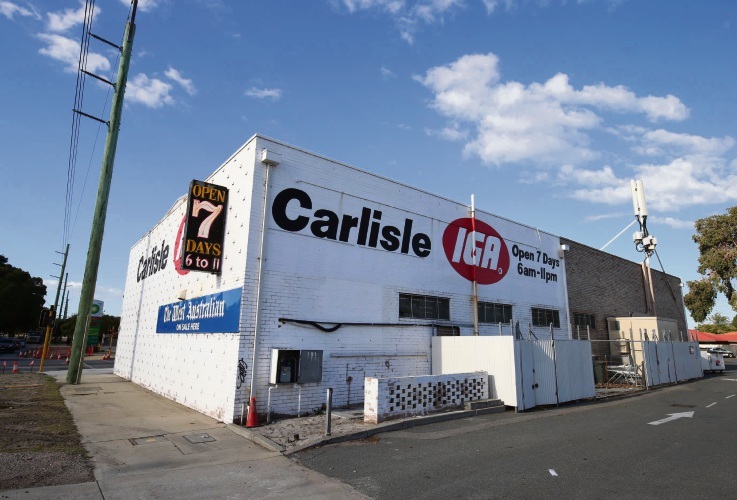 TERESSA Thai says her family is “gobsmacked” by the Metro Central Joint Development Assessment Panel’s (JDAP) decision to approve a service station, convenience store and fast food outlet on the site of the Carlisle IGA. Ms Thai’s family has run the supermarket for 17 years but was left in shock yesterday when the panel gave the green light to a 7-Eleven convenience store and service station, and a Hungry Jack’s. The decision means the supermarket will be knocked down and the new development will be put in its place on the corner of Orrong Road and Archer Street. “I don’t think it’s hit us yet, we are still in shock,” Ms Thai said. “We’ve been here for 17 years so we are very heartbroken but we are happy with the support of the community. “The response we’ve seen from people is that they are dumbfounded because so many community members said no to this and the council gave a strong recommendation too. Ms Thai said the family was unsure when they would have to vacate the building. “We were on a month-to-month lease but I think we are supposed to be given one month’s notice,” she said. “The issue is that our supermarket is so full and we are still taking deliveries. Town of Victoria Park’s advice was to reject the development and although councillors Vicki Potter and Claire Anderson voted against it, they were outvoted on the five-member panel. Debate about the traffic, noise, odour and other issues raged during the three-and-a-half hour meeting. JDAP presiding member Charles Johnson said although there were community concerns, the majority of the panel concluded the application could be approved subject to suitable conditions. The JDAP refused developer Peter Webb and Associates’ plans in May 2017 following concerns about traffic. After the developers appealed to the State Administrative Tribunal (SAT) on behalf of the site owner Universal Enterprises Pty Ltd, the JDAP was ordered to reconsider its decision. A community campaign to Save Carlisle IGA garnered 6000 signatures last year and a petition this year received more than 3000. A Dan Murphy’s liquor store was refused by the council in 2013 and that decision was upheld by SAT. A spokesman for Peter Webb and Associates said the developer was unable to comment.